Longlining for southern bluefin tuna was introduced to the New Zealand domestic fishery in the late 1980s and since 1991, surface longlines have been the predominant gear used in the fishery. Over 95% of all days fished in the domestic fishery use this method. Southern bluefin tuna consist of a single stock primarily distributed between 30oS and 45oS, which is only known to spawn in the Indian Ocean south of Java. Adults are broadly distributed in the South Atlantic, Indian and western South Pacific Oceans, especially in temperate latitudes while juveniles occur along the continental shelf of Western and South Australia and in high seas areas of the Indian Ocean. Southern bluefin tuna caught in the New Zealand EEZ appear to represent the easternmost extent of a stock whose centre is in the Indian Ocean. Management of southern bluefin tuna throughout its range is the responsibility of the Commission for Conservation of Southern Bluefin Tuna (CCSBT) of which New Zealand is a founding member. Current members of the CCSBT also include Australia, Japan, the Republic of Korea, the Fishing Entity of Taiwan and Indonesia. The Republic of South Africa, the European Community, and the Philippines have Cooperating Non-member status. Determination of the global TAC and provision of a national allocation to New Zealand is carried out by the CCSBT. Southern bluefin tuna caught in the New Zealand EEZ was introduced into the Quota Management System (QMS) on 1 October 2004 under a single QMA, STN 1. Longline fishing effort is distributed along the east coast of the North Island and the south west coast of the South Island. The west coast South Island fishery predominantly targets southern bluefin, whereas the east coast of the North Island targets a range of species including bigeye, swordfish, and southern bluefin. The risk assessment covers nearly 100% of all southern bluefin tuna caught in the New Zealand EEZ. For more information, download the full Risk Assessment Report below. Determination of the status of the southern bluefin tuna stock is undertaken by the CCSBT Scientific Committee (CCSBT-SC). The stock assessment was updated in 2014 for the first time since 2011. In 2014, the stock remained at a very low state estimated to be 9% of the initial spawning stock biomass. However, there was some improvement since the 2011 stock assessment and fishing mortality is below the level associated with maximum sustainable yield. Given the very low state of the stock, there is little evidence that the stock is above the point of recruitment impairment. Notwithstanding that, there have been a number of potentially positive developments in relation to stock status. Recent abundance estimates from a close-kin genetics project, as well as updates to the Operating Model incorporating the close-kin data, suggest that the current spawning biomass may be higher than was previously estimated. Moreover, CCSBT reported signs of higher recruitment in recent years and some consistent positive trends in the longline catch per unit effort (CPUE), albeit noted that increased recruitment is of itself not necessarily indicative of increased spawning stock biomass. The next full stock assessment of southern bluefin tuna is expected during 2017. For longline vessels targeting southern bluefin tuna, the total average catch composition of retained species reported shows albacore tuna and blue shark comprise about 20% of the overall retained catch each, while broadbill swordfish comprises around 13%. Quantitative information is available and adequate to assess the impact of the fishery on albacore and swordfish stocks. While some quantitative information is available on catches of blue shark and Ray’s bream, it is not yet sufficient to assess the impact of the fishery on these species with respect to status. The available quantitative and qualitative information is however sufficient to support measures to manage the impact of the fishery on these species. The main potential endangered, threatened and protected (ETP) species interactions in New Zealand's southern bluefin tuna fishery is with seabirds, sea turtles and marine mammals. Sufficient information is available to allow fishery related mortality and the impact of fishing to be quantitatively estimated for all ETP species groups. It appears highly likely that current rates of capture are not hindering recovery of marine mammals or sea turtles. Estimated captures of black petrel in the Southern bluefin tuna longline sector are very low and the direct effects of the fishery appear highly unlikely to hinder recovery of ETP seabird species. Impacts on habitats are negligible. Considerable research has been carried out on tunas as top predators in the Pacific ecosystem and trophic status studies. For albacore tuna, research suggests that the New Zealand albacore troll fishery is highly unlikely to adversely affect the diet of other species. Southern bluefin tuna is likely to occupy a similar functional trophic position as albacore. Given the southern bluefin tuna fishery harvests around 1/3 to ¼ of the volume of fish as the albacore troll fishery, there is a plausible basis to conclude that the southern bluefin tuna fishery is at least likely (perhaps highly likely) not to disrupt the key elements underlying ecosystem structure and function to a point where there would be serious or irreversible harm. However, there is limited directly information about the impacts of southern bluefin tuna fishing on the New Zealand ecosystem. The Convention for the Conservation of Southern Bluefin Tuna (“The Convention”), which entered into force in May 1994, provides an effective legal framework for the conservation of southern bluefin tuna consistent with Component 1. The Convention places less emphasis on ‘ecologically related species’ but still provides the capacity for members to adopt binding measures to mitigate bycatch, consistent with Component 2. At the national level, the 1996 Fisheries Act and subsequent amendments provide a binding legal framework for delivering the objectives of Components 1 and 2. The Fisheries Act 1996 and subsequent amendments provide a binding legislative and legal framework for delivering the objectives of Components 1 and 2. Sections 10, 11, and 12 of the Fisheries Act establish the requirements for the decision-making process, and Section 10 further requires the use of best available information for all decisions. The law also identifies and sets requirements for cooperation among the parties involved in fishing activities. 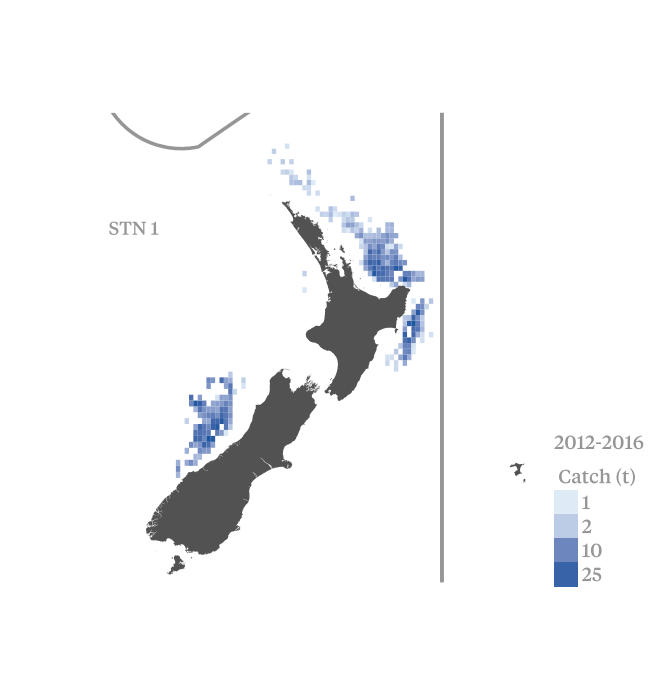 The management of the New Zealand southern bluefin tuna fishery is undertaken consistent with agreements reached at CCSBT (e.g. the Bali Procedure), as well as the legal and policy framework provided by the Fisheries Act, Fisheries 2030, the National Fisheries Plan for Highly Migratory Species (HMS), the Annual Operational Plan for Highly Migratory Species Fisheries and relevant environmental legislation (e.g. Conservation Act 1987, Wildlife Act 1953, National Plan of Action - Seabirds, National Plan of Action - Sharks). These documents provide well defined and explicit long and short-term objectives. CCSBT members have agreed a management procedure designed to rebuild the stock to an interim target reference point of 20% of the original spawning stock biomass by 2035 with 70% probability. The main uncertainty in the achievement of the interim target is the extent of unaccounted mortality. There is uncertainty over the status of some bycatch species taken in the fishery, although there are measures in place which are expected to ensure stocks remain above the point of recruitment impairment. Target species - Improving: Notwithstanding uncertainties around unaccounted catch, the Management Procedure adopted by CCSBT in 2011 should rebuild the stock to 20% unfished biomass by 2035 with a 70% probability. Bycatch and ecosystems - Stable: No major changes to existing bycatch and ecosystem arrangements are expected, albeit growing stock size should progressively mitigate any potential ecosystem impacts resulting from low stock size. Management systems - Improving: No major changes to existing management system arrangements in New Zealand are expected, although at the stock-wide level CCSBT has introduced a range of initiatives in recent years to strengthen MCS arrangements. For more information, download the full Risk Assessment Report below or contact us on hello@openseas.org.nz.